The TOTEM Spaceship Has Landed in San Diego! It is the only logical explanation. How many humans do you know who can do this? TOTEM planks in the sky. Okay, okay. 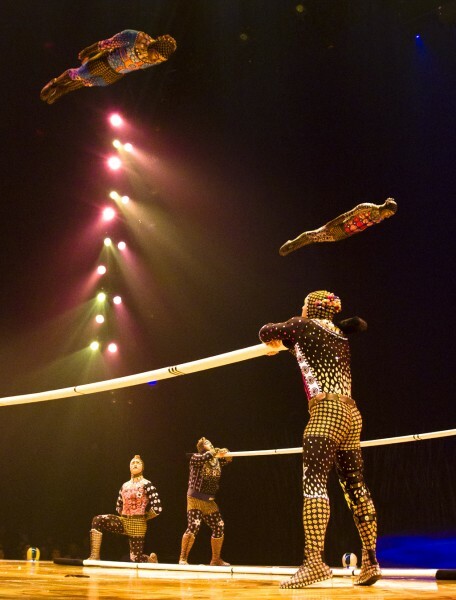 By now the world is familiar with superhuman feats and otherworldly costumes made famous by Cirque du Soleil. But as, dare I say, commonplace as such extreme physical feats have become, seeing Cirque du Soleil’s TOTEM (now through May 27, 2012) in person is as thrilling and overwhelming as if a blue and yellow spaceship landed smack dab in the middle of the Del Mar Fairgrounds carrying sparkly, limber, flying aliens. In other words, Go! Spend the money. Get the babysitter. Bring the kids. Whatever you have to do. TOTEM is a “fascinating journey into the evolution of mankind” told through a woven tapestry of multi-cultural mythology and overarching symbols, and there is no group more suited to tell the story of human progress than one dedicated to the limitlessness of corporeal potential. 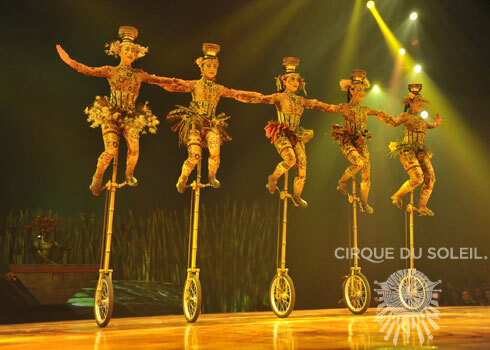 While every piece is filled with entertainment, from the terrifying balancing acts to the hilarious clown interludes, the stand-out performance is, hands down, the double trapeze. 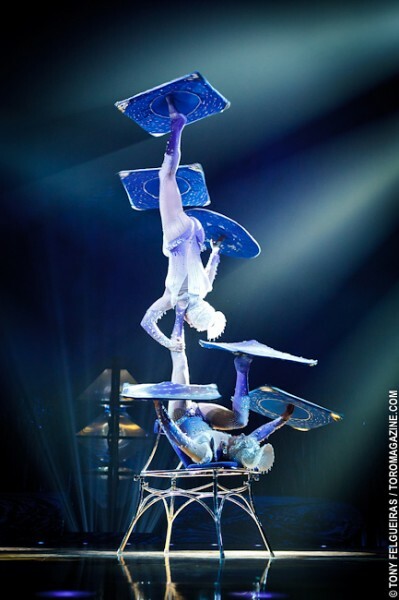 Going beyond the expected acrobatics, the high-flying couple climbed, spun, dropped, swung, pushed, pulled, twirled and contorted their way through a flirtatious, aerial battleground to end lovingly in one another’s arms. It was simply stunning, beautifully choreographed and extremely touching. Insider Tip: Plan for Traffic! I gave myself 40 minutes to get there from downtown and was almost late due to the greater-than-normal traffic exiting Villa de la Valle from 5 North. I was so worried about being locked out of the Grand Chapiteau for the first act (where the Crystal Man appears to light the world!) I ran as fast as I could in my heels (What was I was thinking? Dressing up for the circus? Bad idea) practically forcing my way in to the tent. Talk about classy. I just really love the circus. Unless you want to be that girl, I suggest leaving yourself ample time and wearing appropriate clothing. Lesson learned. 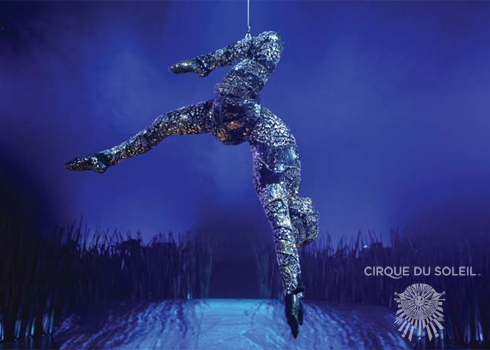 The Cirque is coming to town! 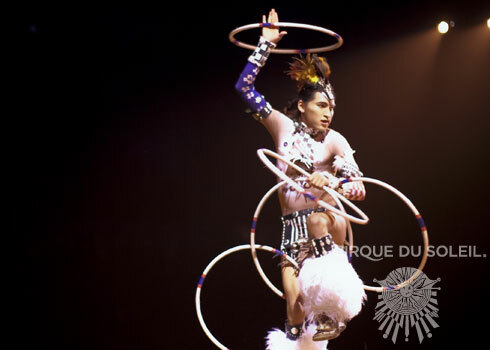 Returning to the Del Mar Fairgrounds, April 25-May 13, 2012 is Cirque du Soleil’s TOTEM. 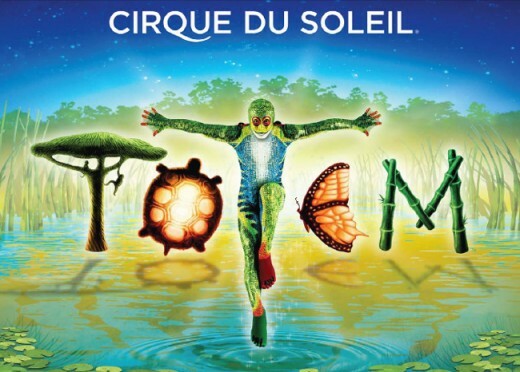 This will be the last stop for TOTEM in the west before it moves over to Boston in June. TOTEM traces the fascinating journey of the human species from its original amphibian state to its ultimate desire to fly. 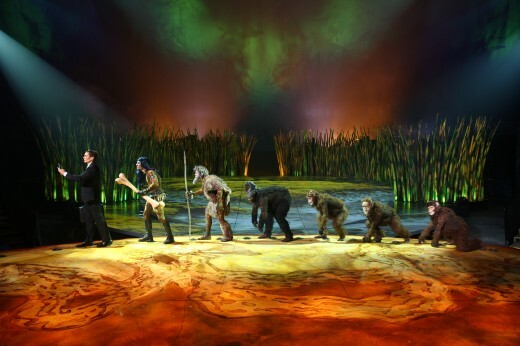 The characters evolve on a stage evoking a giant turtle, the symbol of origin for many ancient civilizations. 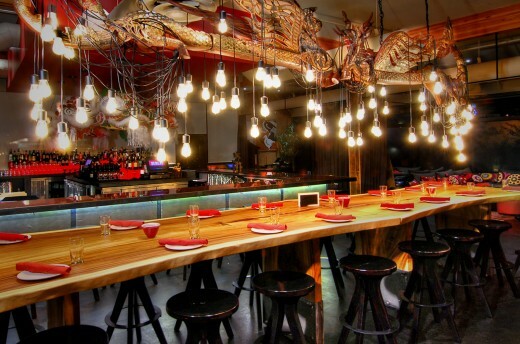 Make a night of it by dining at one of these nearby restaurants. Described in Executive Chef Brian Malarkey’s playful tone as “Asian Cowboy” cuisine, Searsucker’s sister restaurant Burlap offers a hybrid of meat, seafood and bold sides with Asian influences. Burlap embraces the relaxed North County San Diego vibe while injecting Chef Malarkey’s playful touch on the coastal destination. Across from the Fairgrounds is a North County staple, the Brigantine. Take a drink of your favorite beer and sit back to enjoy the fresh seafood, including their lively oyster bars and award-winning fish tacos and swordfish. 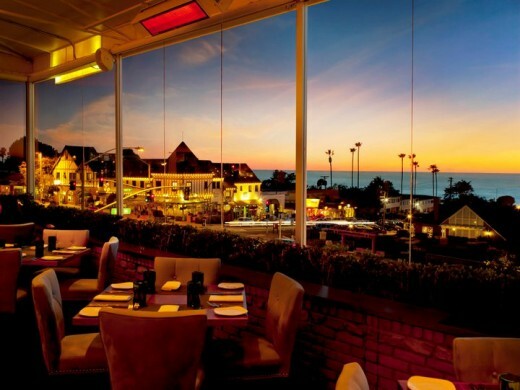 Nestled atop Del Mar Plaza with a pitch perfect ocean view, dining at FLAVOR is a full sensory experience. Acclaimed chef Jason Maitland offers a youthful and inspired approach to California Cuisine, creating a simple, yet unique blend of flavors and fragrances that are as fresh as the Pacific breeze. 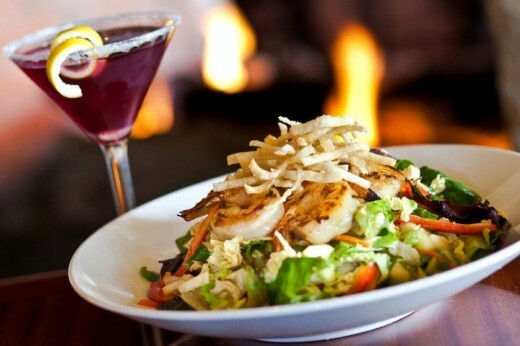 Tell us in the comments below, where is your favorite place for a night out in Del Mar?